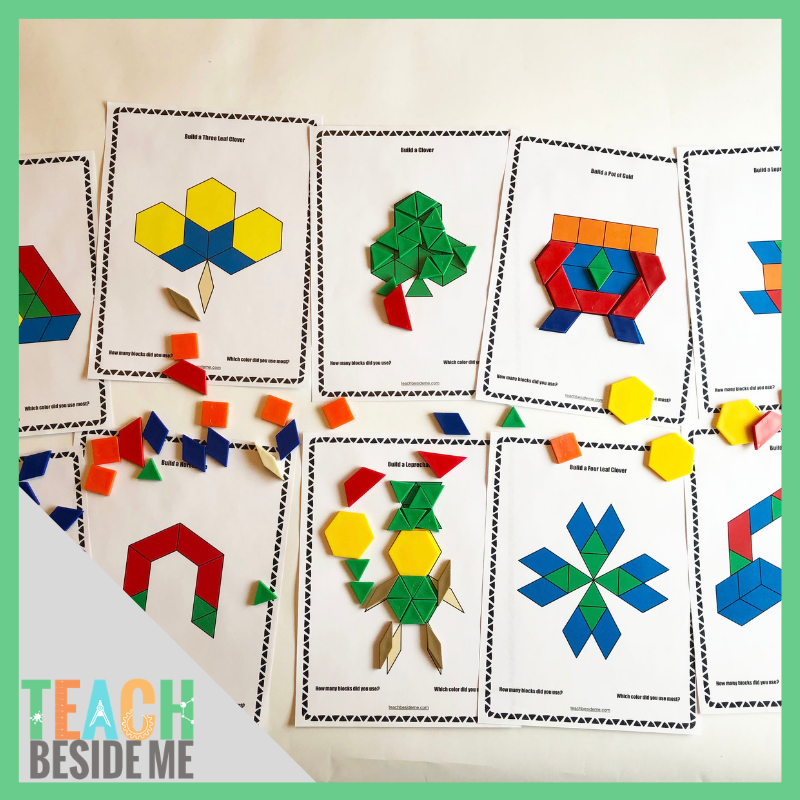 This printable pack of pattern block mats includes 10 patterns to use with plastic or wooden pattern blocks. 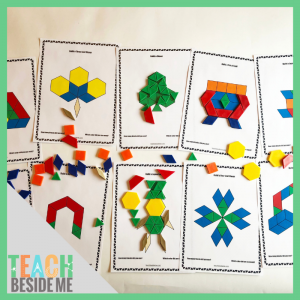 This is a great math activity for March! There are 10 different pictures in the set. See more details in the related blog post.